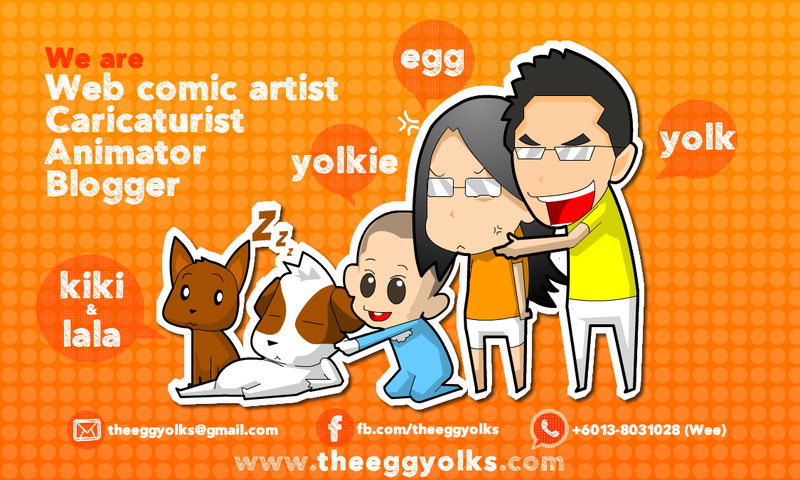 Few years back, my husband (Yolk) and I (Egg) were in the same University. Both of us were arranged to stay in the university’s hostel. 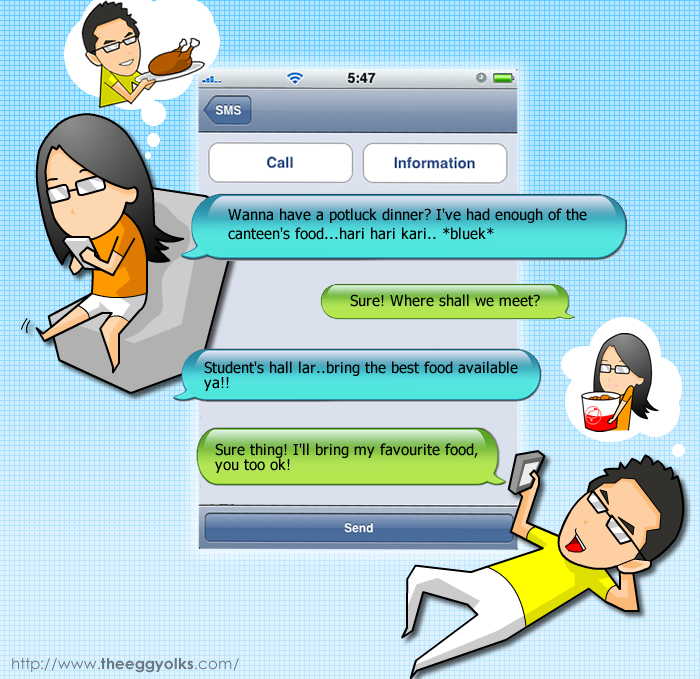 We always had hard time searching for the food that we like. It was because some of the foods were too spicy and some of them weren’t suiting our taste bud. I still can remember vividly that one day I suggested having pot luck for our dinner at the student hall. As both of us stayed in hostel, so it was impossible for us to cook for our own food. (We are not allowed to cook any food in the hostel). 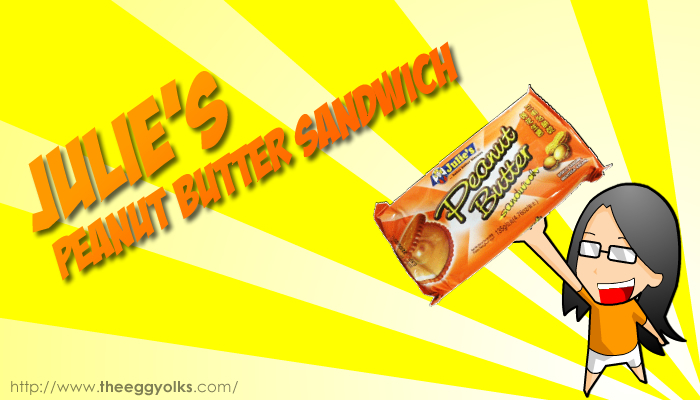 Therefore, I brought my favourite stock from my room, “Julie’s Peanut Butter Sandwich”. Hehe. It sounded quite ridiculous but it is my favourite companion during University period and even until now it is my breakfast everyday. 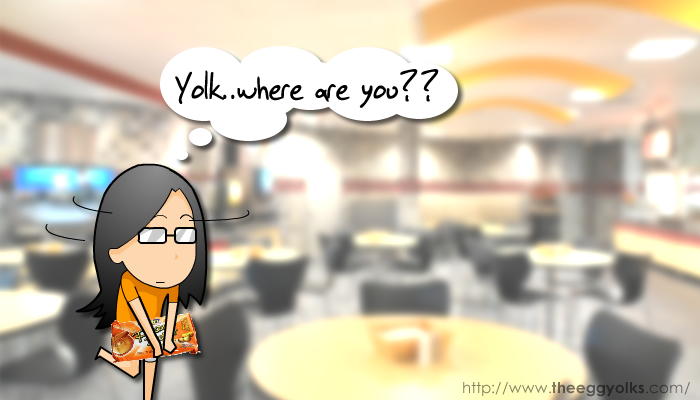 When I reached the student hall, Yolk wasn’t there. So I waited patiently for his arrival. 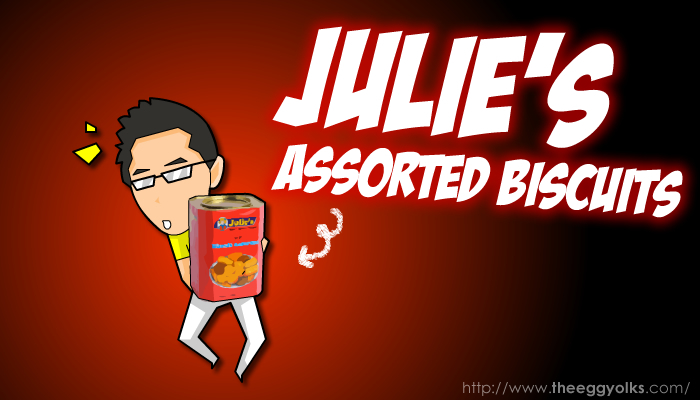 Little did I realised, he was concealed behind a tin of Julie’s Assorted Biscuits. 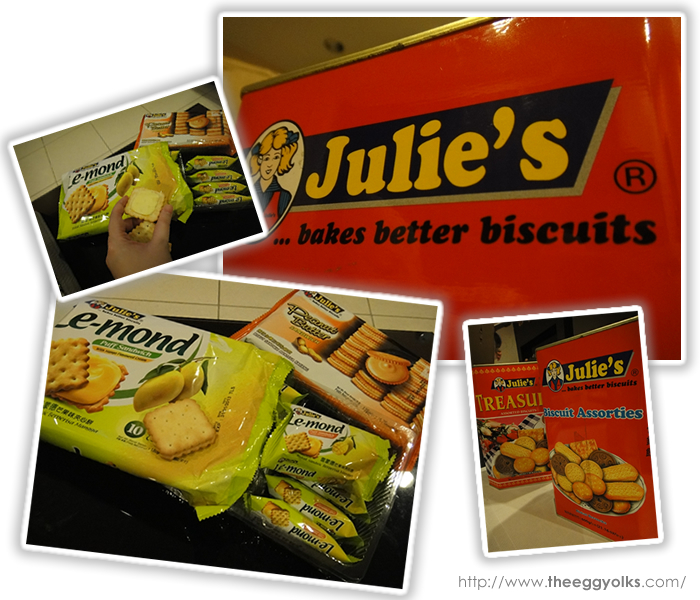 It was a real surprise that both of us brought Julie’s biscuit as our pot luck. According to him, he only had these in his room and the assorted biscuits enable us to have more choices to pick. 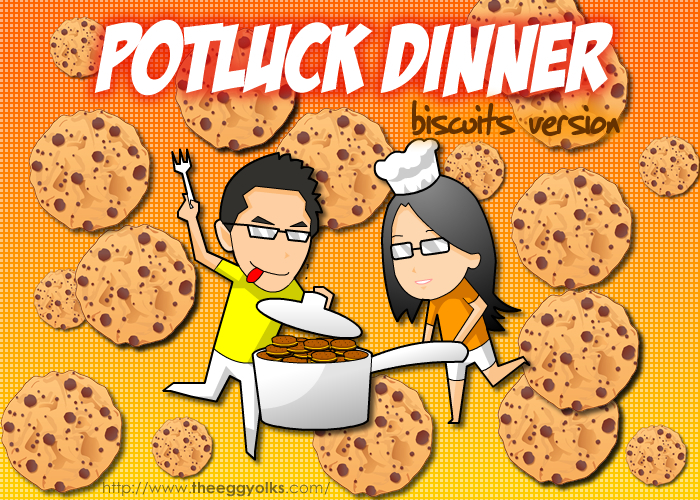 We had a wonderful “Julie’s Biscuit Pot Luck” that night. 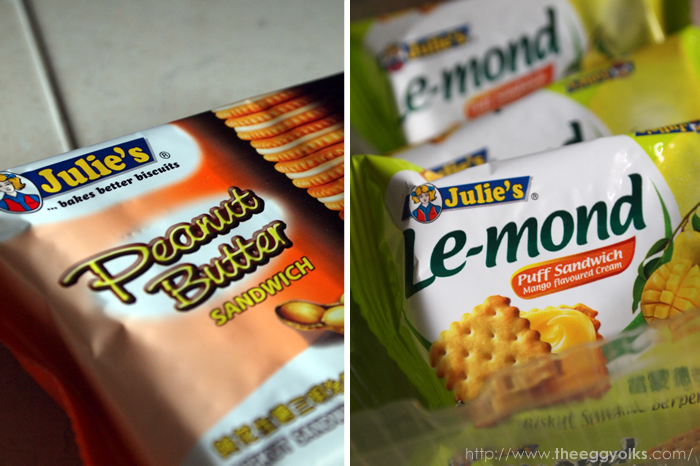 Julie’s accompany us throughout our university life and now it has become our essential diet everyday. 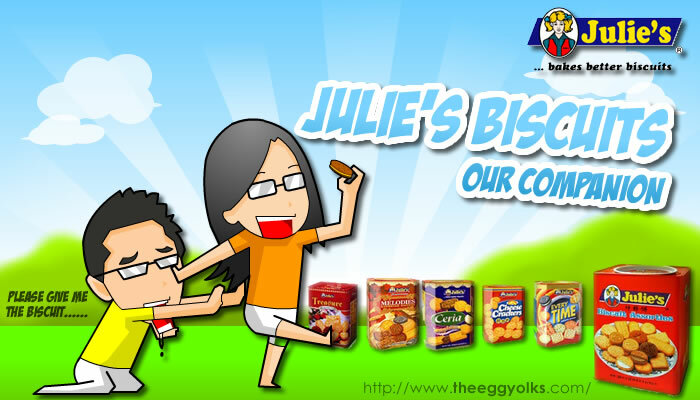 Julie's biscuits are not only tasty but the have passed the strict quality control and gained the certification of HACCP! Most of the products also comes with convi-pack which is so convenient and easy to bring around. 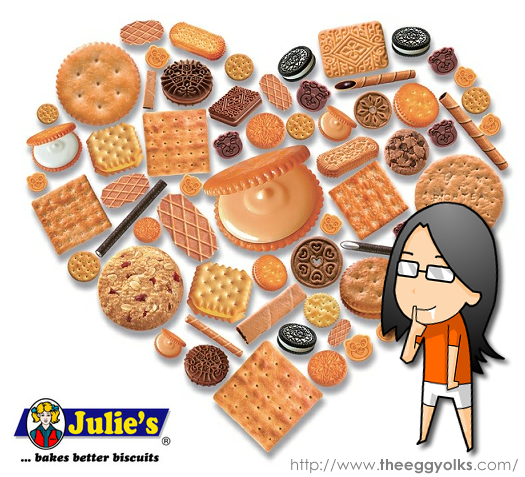 Julie’s, the brand that bakes better biscuits. 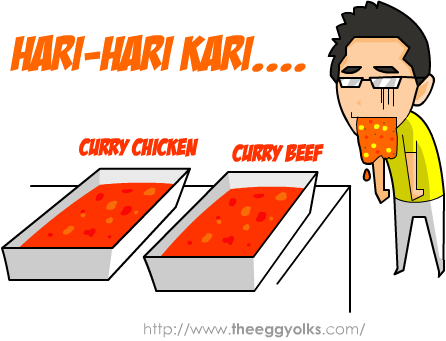 It tasted like sh*t -_-"